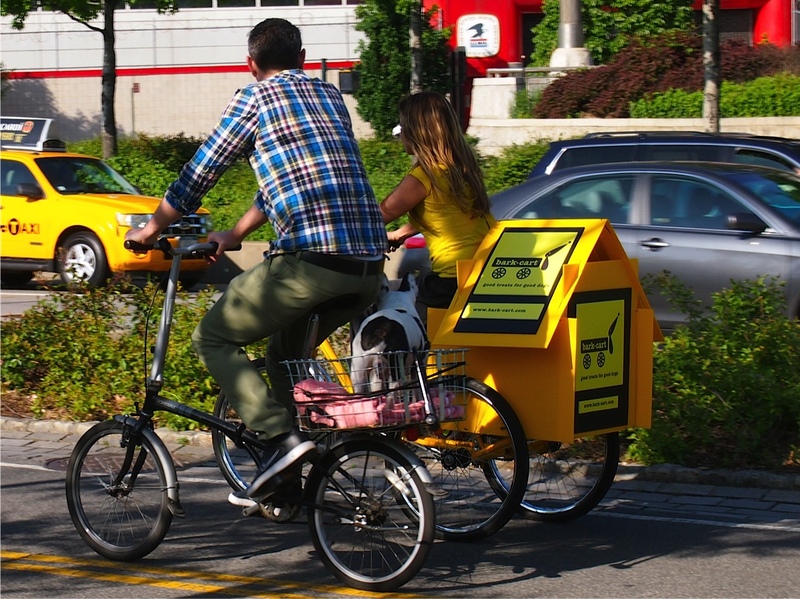 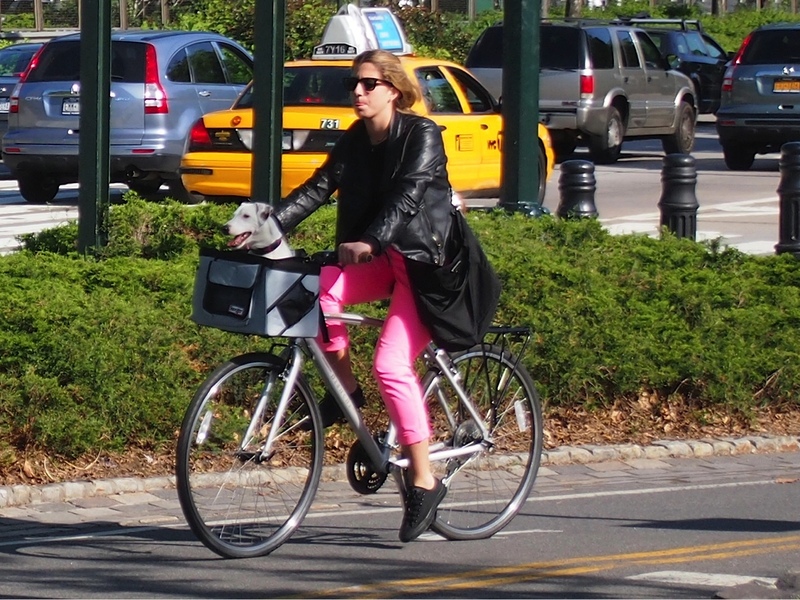 Great day for a ride with a basket-mounted dog. 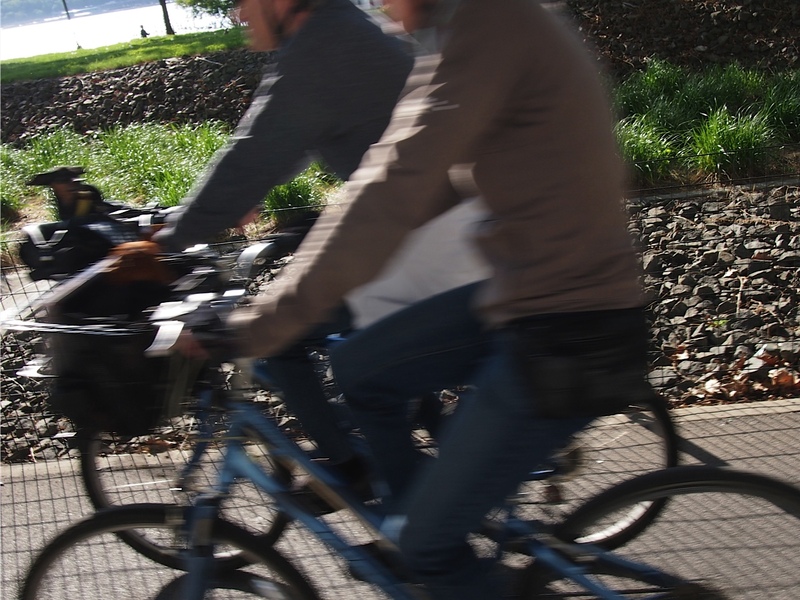 Two bicyclists rode past each with dog in basket – I shot, but the camera was asleep, and in the moment’s lag, they’d passed, caught in blur…about the third or fourth photo down the page. 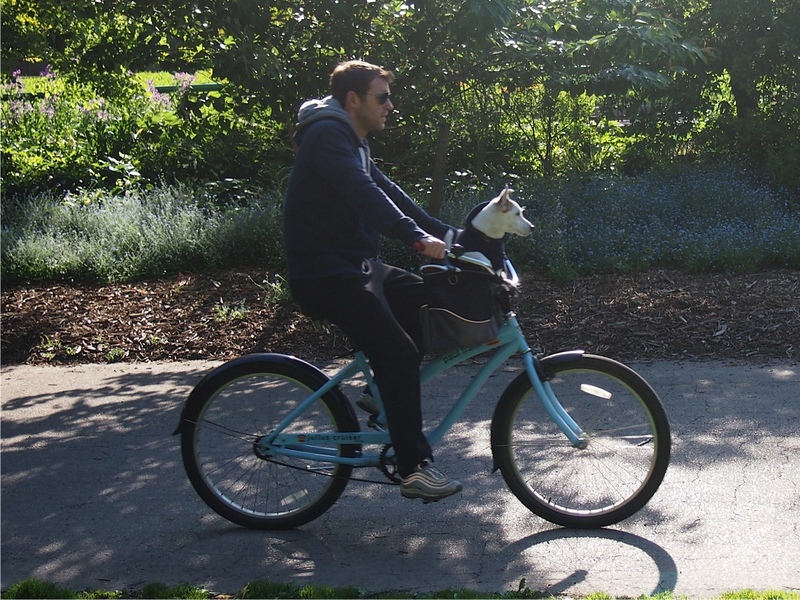 I didn’t chase them down. 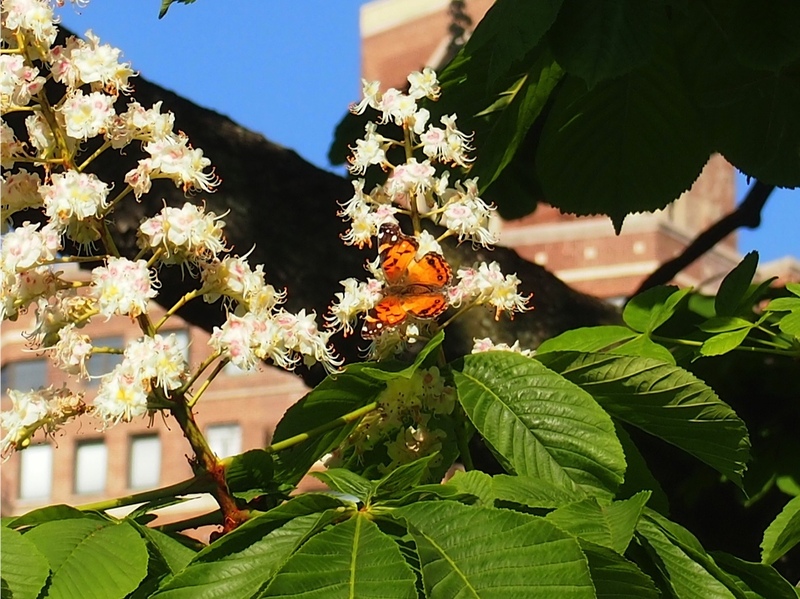 I stopped to zoom in on a butterfly drinking the nectar of a flowering horse chestnut tree (warning, their nuts are not edible), when the last photo rode by.